Living A Course in Miracles began in 2010 when Jennifer Hadley received the inspiration, in meditation, to offer a tele-class series on the topic of living the ACIM teachings with a focus on practical application. Living the Love and Walking the Talk was the original impetus that sparked the beginning of these free classes that have been shared with more than 50,000 people in over 100 countries. Guest Teachers have included Gary Renard, Paul Ferrini, James Twyman, David Hoffmeister, Regina Dawn Akers, Jon Mundy, Colin Tipping, Earl Purdy, David Fishman, Robert Holden, Nouk Sanchez, Amy Torres, Lisa Natoli, Tama Kieves, Rhonda Britten, Karen Russo, Chris Cade, Gabrielle Bernstein, Marci Shimoff, Maria Felipe, Nick Davis, Rev. Tony Ponticello, and many more. Reverend Jennifer Helen Hadley is a Science of Mind trained Practitioner and Minister from the Agape community in Los Angeles founded by Michael Beckwith. 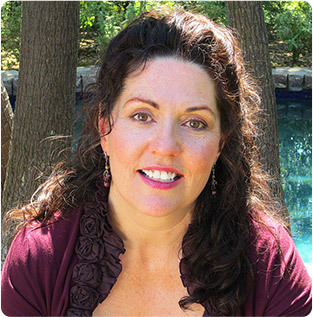 Jennifer has been leading retreats, offering workshops and classes since 1998. She began seeing private clients for spiritual counseling in 2000, and became a licensed minister in 2006. Jennifer offers training and certification for Spiritual Counselors and continuing education and licensing programs for ministers, coaches, therapists, counselors and social workers. 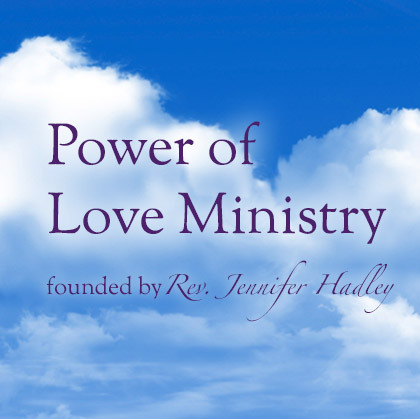 In 2013, Jennifer Hadley founded the non-profit Power of Love Ministry. The goal of this non-profit organization is to support people who are actively interested in walking their talk, living the Love and awakening so they can teach only Love and be truly helpful. Power of Love Ministry now supports many of the free offerings Jennifer shares, such as LivingACourseinMiracles.com, the A Course in Miracles radio show the free ACIM app available at iTunes the Living ACIM classes, study group support, daily Prayer for Today and Spiritual Espresso Blog and much more. If you would like to support us to grow and continue to provide helpful spiritual content to thousands of people around the world, click here to see how you can support today.